It finally happened. The week before Thanksgiving our house gets hit by the plague. Or cold season, depending on how you look at it. 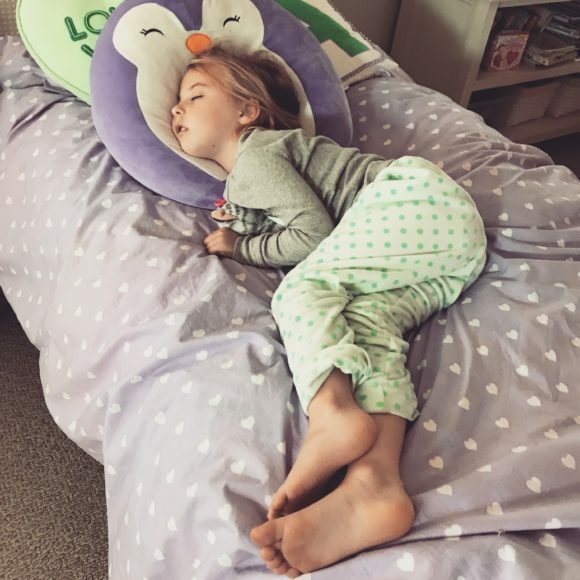 Anytime my children have to take sick days from school, it feels more like the plague than a cold. 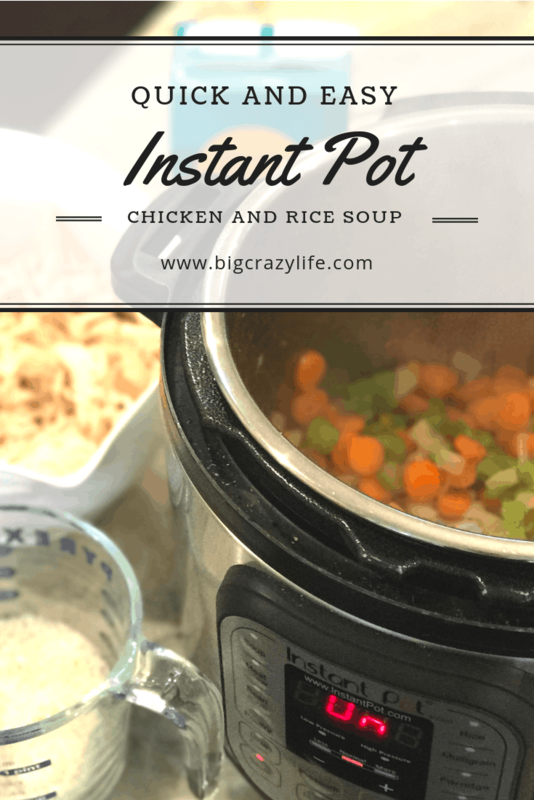 Last night I made an easy chicken and rice Instant Pot soup, just in time for the plague cold season. 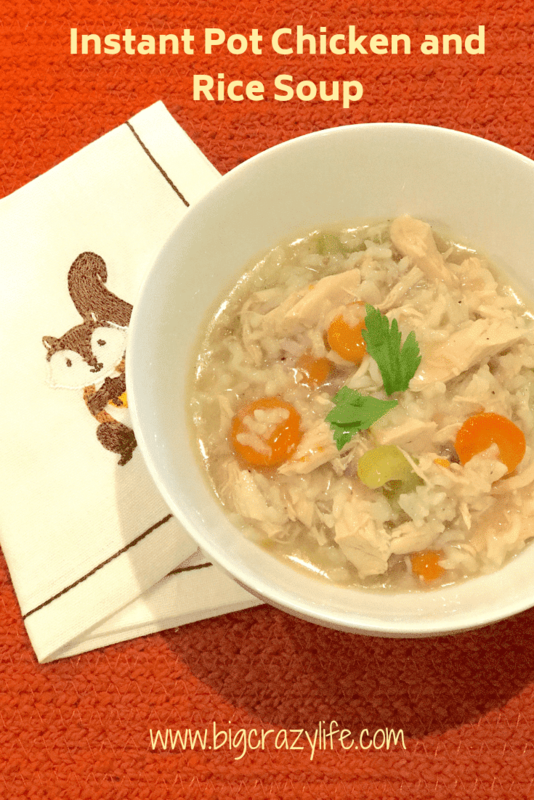 As a believer in wives tales, I immediately dusted off my Instant Pot and threw together a quick 30-minute chicken and rice soup. I wanted to share this with you not because I think I am a great cook, but because it saved all of us last night, and it was beyond easy and exactly what the doctor ordered. Turn your Instant Pot on Saute. Once hot, add enough olive oil to swirl around the pot two times. About two tablespoons. Add your chopped white onion, carrots, and celery. Saute until the onion is transparent. Add the minced garlic. Add your rice to the mixture and coat completely. Pour in the 6 cups of stock. Stir completely. Add salt and pepper to your shredded chicken then seal your pot lid into place. Select high pressure and cook for ten minutes. Let your pot slowly release the pressure for ten additional minutes before manually releasing the remaining pressure. Open the lid, stir and serve! The great thing about this recipe is it is foolproof. You can add anything to it and you can’t go wrong. 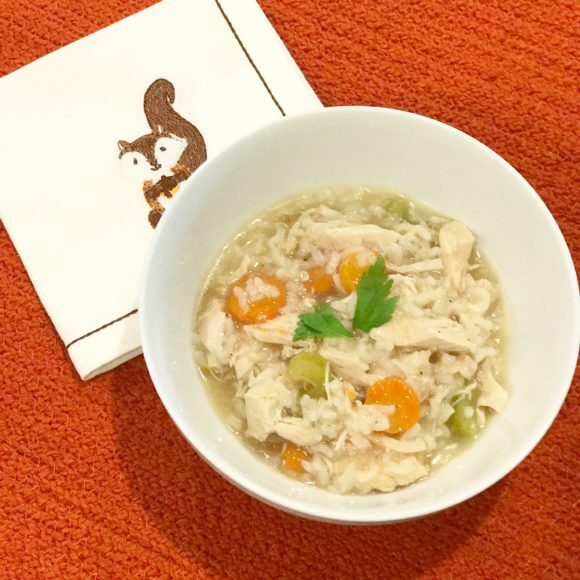 That’s it, a super easy chicken and rice soup in under thirty minutes that everyone in your family can eat. Even when they aren’t sick!